Our cell phones are supposed to be private devices. But in the real world they often change hands. Maybe your little brother wants to play a game of Angry Birds. Maybe your girlfriend wants to make a call. You can control the former guy, but I wouldn’t lay bets on you if the latter comes across something on your phone which she shouldn’t. 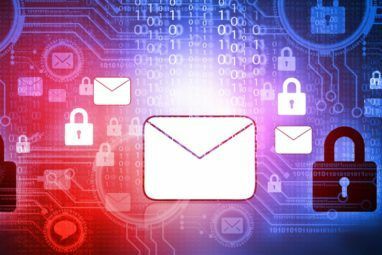 That apart, the issue of privacy and security is serious enough for you to include an application that keeps sensitive information away from prying eyes. It could be a video of a drunken night or a JPEG of a scanned document. Privacy is sacrosanct. There are security utilities for Android which helps you create your own Fort Knox for hiding pictures, videos, and other sensitive files. 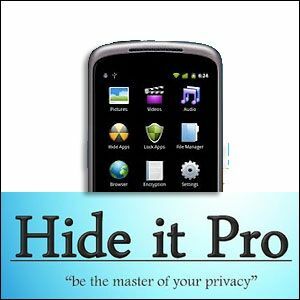 Let me introduce you to Hide It Pro [No Longer Available]. One of the nicest things about Hide It Pro is that its cloak extends to pictures, audios, videos, messages (with a plug-in), and applications (for rooted phones). So, you do it all with pretty much one single app. It has a free (but ad-sponsored) Android app that runs without a hitch on any Android version that’s at least 1.6 or more. Oh yes, there’s also the tiny detail of it being listed on your Best Android Apps page. Just so you know that it comes highly recommended by our legion of readers. Enough talk. Let’s get it up and running. I am taking a look at the free ad-supported version here. You can upgrade it to the ad-free version for $3.99. What! Did I Download an Audio App by Mistake? Now, don’t be alarmed. You didn’t click the wrong download. Hide It Pro comes disguised as an audio application so that it makes it that bit harder for someone who is deliberately trying to break through the walls. To play the fool’s game; all those sliders are actually functional. But to cross the first barrier yourself, you just need to press long on the Audio Manager logo on to reach the first configuration step. In the next step, Hide It Pro gives you a choice between two types of lock screens. You can go for either…whatever makes you comfortable. You can give the app an email ID in case you forget the password. That done, you have to login again to reach the innards of the app. The Vault is the place where all the pictures, videos, and audio files. will be sheltered when you start hiding them. To hide a particular file – let’s say an image – you have to go to the particular file’s location and share it from there. Let’s go to the Android image gallery and see how it works when I select Share. The ability to hide a file and put it in specific folders is one of the noteworthy features. You can also select photos from within Hide It Pro and hide the selected ones. Back in the Vault, I can view the hidden file by going to Pictures. If you have several images there, you can browse through all of them with a Slideshow. You can even set the duration of the change along with Fade, Zoom, and Swipe effects. Of course, the normal navigation controls are all there. To unhide a single picture or the entire album, just long-press and select Unhide. One of the quirks I disliked on this step is that the app does not relocate the image in the original location but creates a folder (in the Image Galley for this example). To reorganize it, one has to do it manually. Hide It Pro has a feature that allows you to encrypt your files with 256-bit AES encryption. It is still a work in progress, and I also got quite a few application crashes while trying to use the tool. Here’s hoping the developer sorts out the glitch because it is an important part of our privacy arsenal. Lock an app and disguise it by displaying a crash screen when someone tries to access it. If you have a rooted phone you can also hide apps. Have private messaging sessions with friends bypassing the default messaging app. Browse with the VBrowser in incognito mode. After using Hide It Pro for a while, I gathered most of the positives and a few negatives. First of all, I would recommend that you go for the ad-free version after trying out the features on the free ad-sponsored one. The ads are a bit irritating especially when the app launches a browser to display them. On a positive note: Hide It Pro does not make it apparent that it is a privacy tool by disguising itself behind an audio manager. 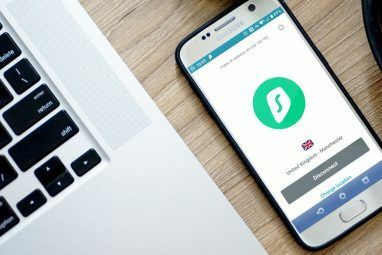 A single app enables you to hide your pictures, audio, and video files in one go. The folder organization and the ability to sort the folder is a plus. The batch operations make it a cinch to hide multiple files in double quick time. If the file encryption is set right, it will be another vote for the app. On the negative: As I mentioned before, Hide It Pro wouldn’t place the hidden file in the original location when I un-hid it. And if you are stuck on the free version, the ads rankle. But the developer deserves a bit of credit in literal and liquid terms for the sweat. So, try out Hide It Pro. Cloak your pictures and media files behind it. Tell us if it ranks as one of the better privacy apps out there on Google Play. I use it just to hide random pictures needed by custom ROM's that my gallery picks up. It does have many features, but, if you are looking to hide some specific videos or images, you can do so without a software. It will be hidden automatically. One of many apps for hiding file I knew! Just the app I was looking for. I have been using Photo Vault which is horrible. I love how Hide It Pro disguises itself as a volume controller app. Thanks for the article!